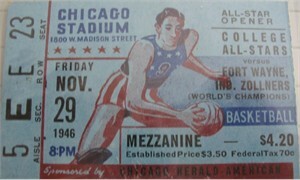 Extremely rare original ticket stub from a Nov. 29, 1946 National Basketball League (the predecessor to the NBA) exhibition game at Chicago Stadium featuring the 1946 World Professional Basketball Tournament Champion Fort Wayne Zollner Pistons (who later became the Detroit Pistons) vs. the College All-Stars. 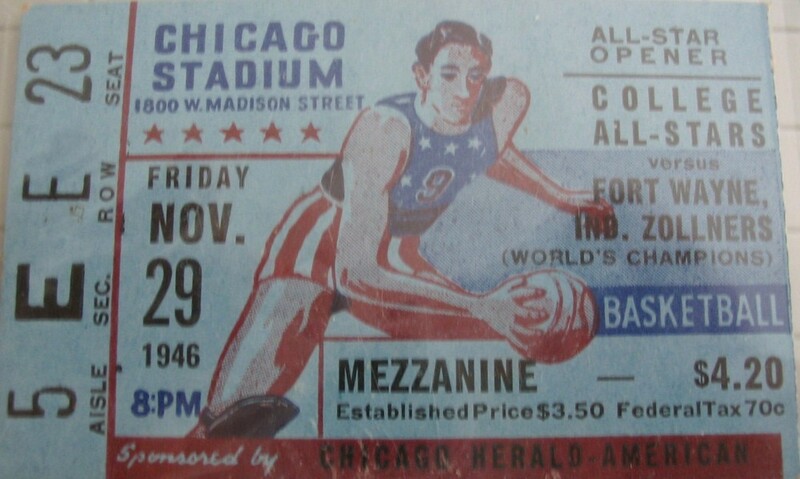 Has very minor wear, IN EXCELLENT CONDITION FOR ITS AGE. ONLY ONE IN THIS CONDITION AVAILABLE FOR SALE.